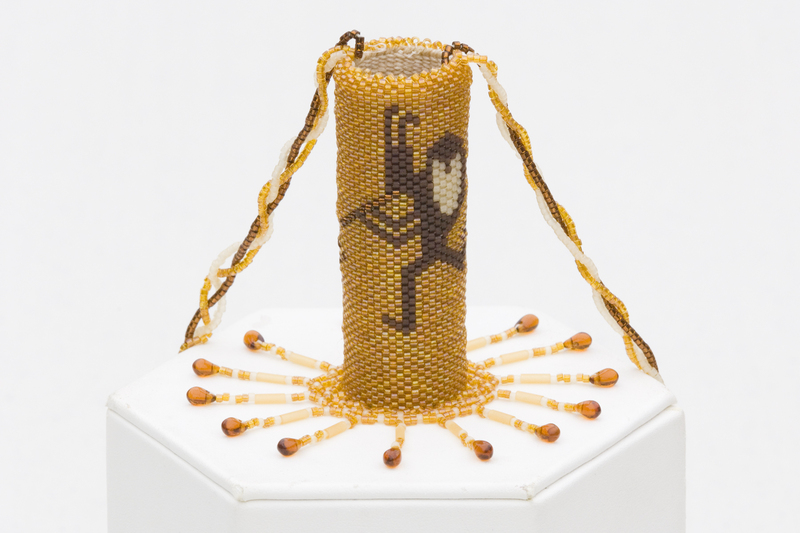 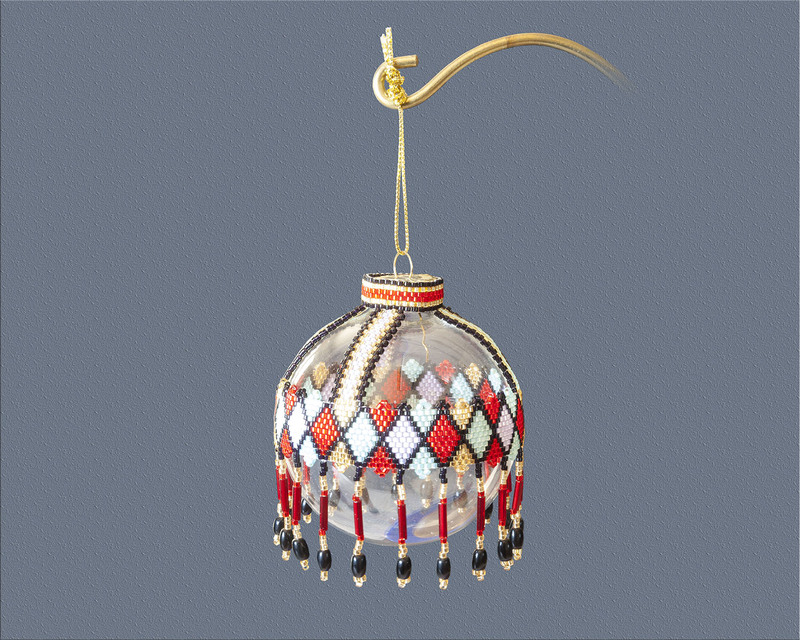 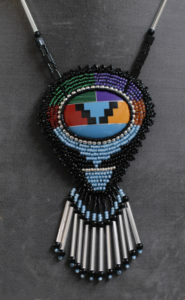 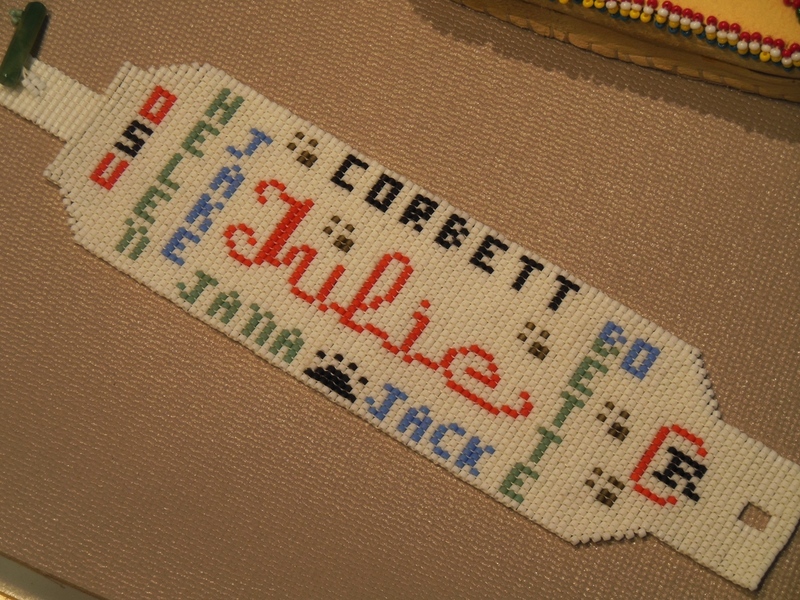 Taught by tribal women from 11 Western States, Jana has been beading since 2003. 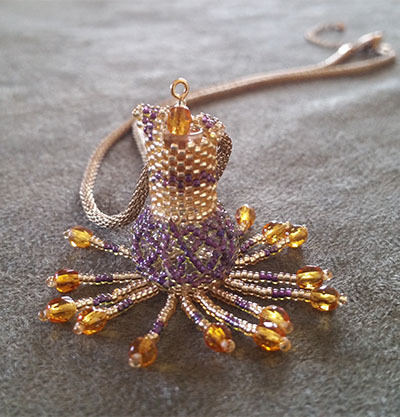 She began by doing simple beaded medallions and necklaces.. 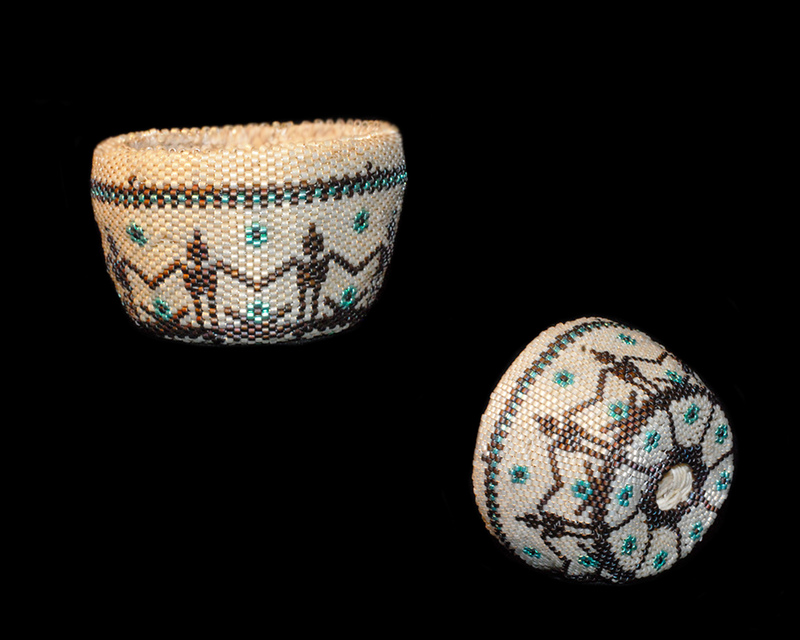 Her journey began to include the creation of miniature twined baskets. 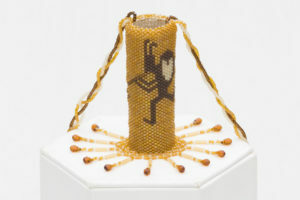 The use of beads in their creation seemed natural and she began to add beads to each basket. 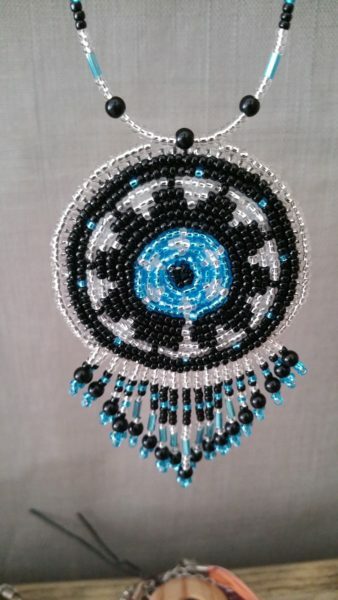 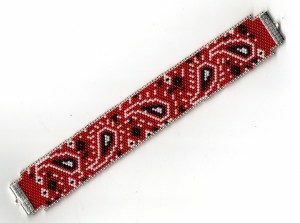 Some have fringe beads added to the top band, others are designed to have a bead-woven collar, and one a year is designed and developed to be totally covered in beads. 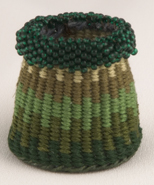 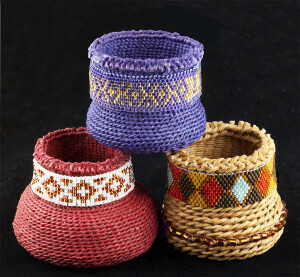 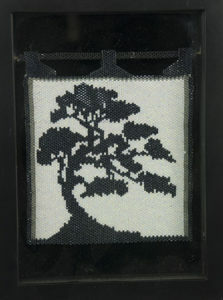 Jana realized not everyone would enjoy a basket and she began to create bead weavings for a number of uses. 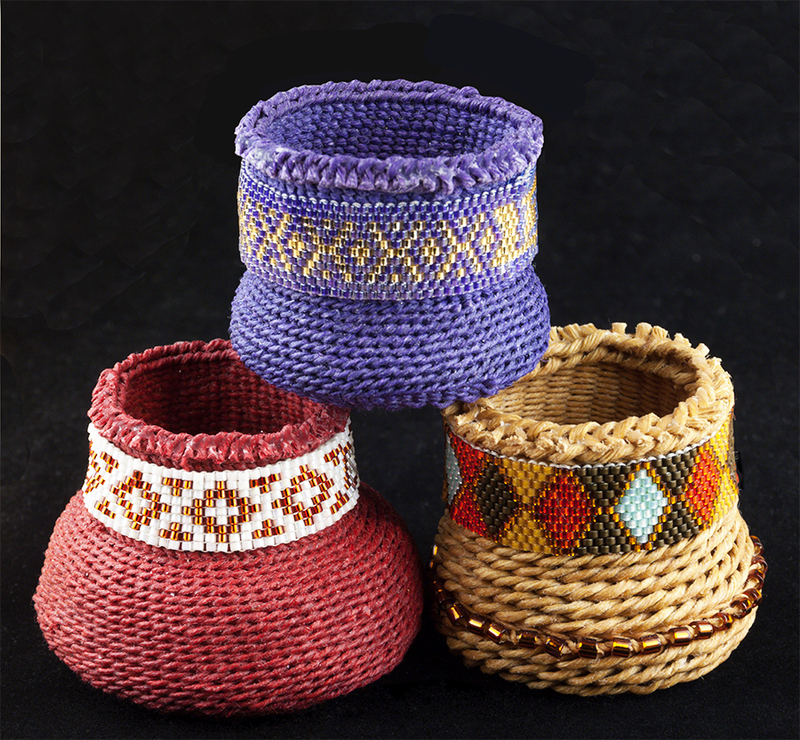 Woven pictures, woven bracelets and bead woven Christmas Ornaments round our her offerings. She has done a number of custom ornaments for wedding and special occasions. her work has been shown in the Bead Magazine, and she spent several summers teaching children how to twine in the summer State Park Programs in both Oregon and Utah . 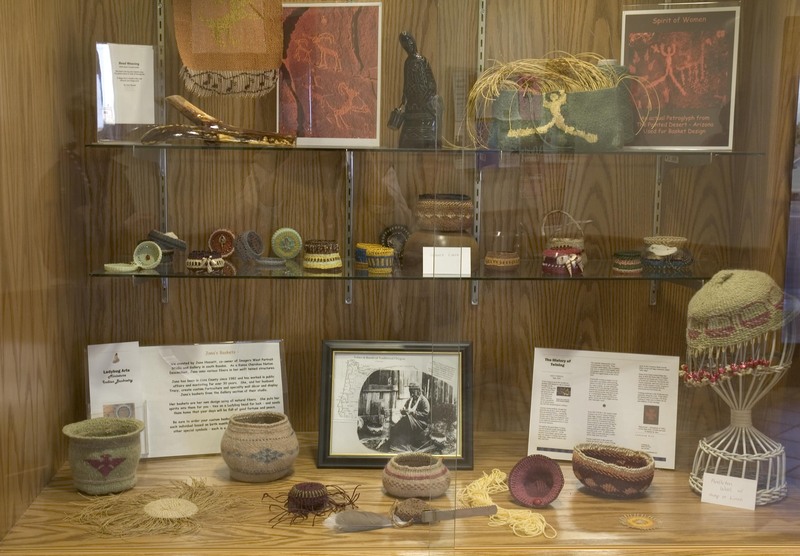 She held basketry classess in Escalante from 2008 – 2011. Some of her special order items are shown below. 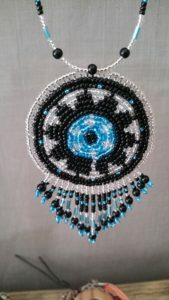 Feel free to contact her through her Facebook page www.facebook.com/thehassetts While there click on Shop Now to see what’s currently available on their Etsy Page.